Speaking at a recent press conference, Minister of Economic Development and Tourism Jamahl Simmons said, “I’m here today to encourage Bermuda’s young entrepreneurs to take full advantage of an exciting new initiative, called the Summer Student Entrepreneur Programme [or SSEP for short], which was launched last week by the Bermuda Economic Development Corporation [BEDC], with complete support and sponsorship from the Ministry of Economic Development and Tourism. 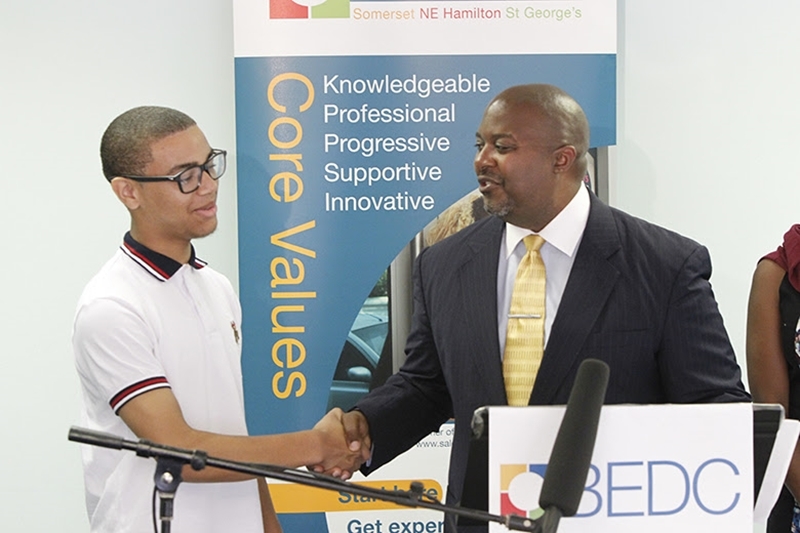 “SSEP is aimed at developing our Bermudian youth to become the Island’s next wave of entrepreneurs. The eight-week programme which will run from Monday, July 9th through Friday, August 31st, will provide students between the ages of 16 and 25 with the resources and support to launch, grow and sustain their own business enterprises – be it a small stand selling baked goods or an online business selling their own custom design of t-shirts. “This Government believes that entrepreneurship is a viable career option for our young people to pursue and that age doesn’t have to be a barrier to economic success. We have seen firsthand, examples in our community where young people have developed innovative, new 21st century businesses. 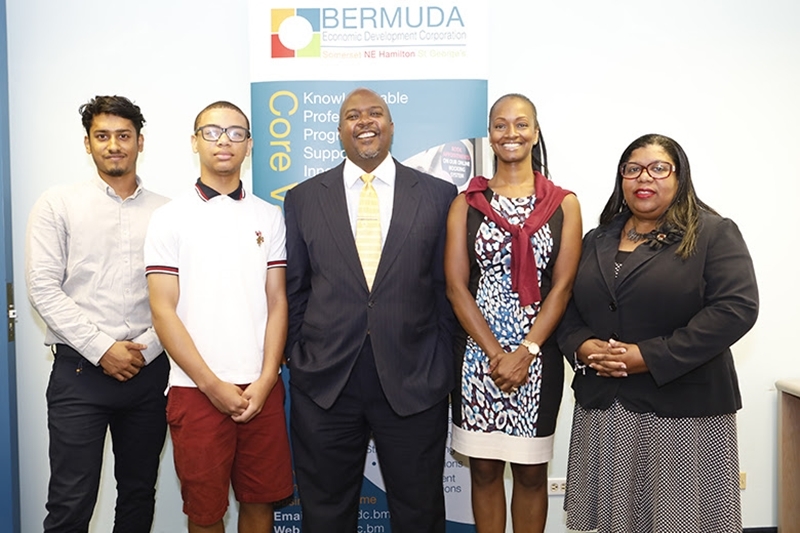 “On the flip side, however, we recognise there aren’t nearly enough programmes and tools available to help our Bermudian youth reach their full potential in the entrepreneurial sphere. That’s why Government is partnering with the BEDC to find viable solutions for our island’s young people, so they don’t have to wait until their 30s of 40s to pursue their dreams. They can start now! “SSEP will provide quality educational training, financial resources and support to high school or college age students interested in one day becoming their own bosses. The eight-week programme is designed to not only enhance students’ academic, career and personal development, but to teach valuable skills and knowledge that they can take with them, well into their futures. “Students participating in the SSEP will receive a working capital advance by the BEDC to help towards start-up costs to execute their business idea. They will receive a week full of educational workshops and training on the fundamentals of entrepreneurship, before setting out on their own to execute the idea. Support from the BEDC will be ongoing throughout the summer months. “Our goal is for our participants to walk away from the programme with cash in the bank, just as they would if they had gained summer employment. “To those young Bermudians who have an idea and dram of doing for self, I encourage you to act now and seize the benefits that come from this new opportunity. Are You A Student With A Great Business Idea?